How Checklists Can Save Your Sanity? Merriman Webster Dictionary describe checklist as “a list of things that needs to be done”. We all have to do lists we’d like to forget, but what I’m talking about is the kind of checklist that will save your sanity. Creating checklists for every area of your ministry is a time saver. No, it really is. Imagine if you have an event you do every year, and you don’t have to reinvent the wheel to make a to do list for it. Create a checklist for it, then pull it out every year to see what needs done. But checklists can be used for more than yearly events. 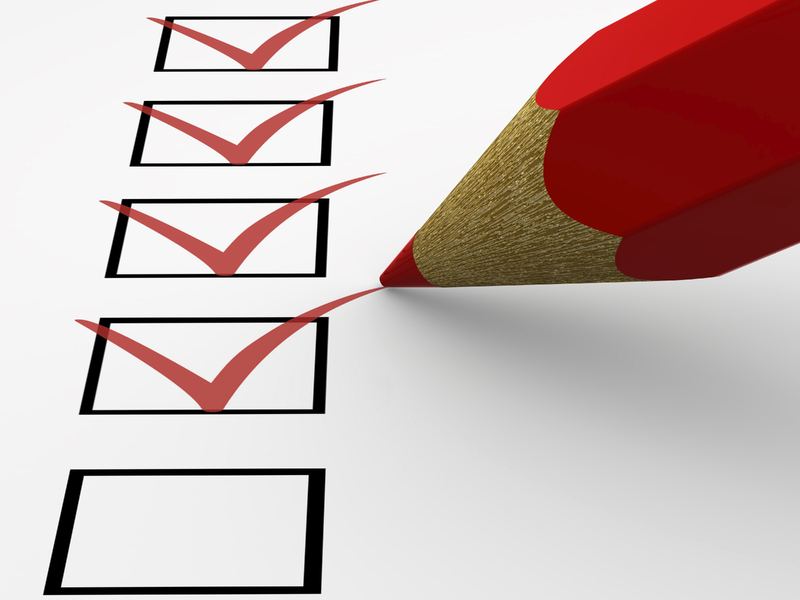 You can use checklists for anything that needs done in children’s ministry. Checklists can be created for what needs to be done to set up children’s church, tear down children’s church, what teacher positions you need filled, and agendas for meetings. The vast array of checklist possibilities are endless. You’ll never be overwhelmed with items you forgot to do again. Checklists can help you find workers. When somebody is willing to help in children’s church, it makes it so much easier for them and for you if you can hand them a checklist of things you need done. Workers won’t be frustrated because they don’t know what you expect. They’ll have a list in hand. Checklists will help if you’re ever in a situation where you can’t be there. Imagine you’re sick, or you have a sick child, or you were just in a traffic accident. These incidents could bring most children’s ministries to a halt. But if you have a notebook of checklists that need done or how to do certain needed tasks, ministry can continue. Your pastor or assistant can pass the checklists along to the necessary people. Leave a comment with some of your ideas for checklists.